Experience the beauty of New Mexico in an environment that will stimulate your imagination and creativity, while introducing a lush, dynamic and highly enthusing place where you could simply just let your mind and soul wander in relaxation. At bigrockcasino.com, the Cities of Gold Casino Hotel is by far, one of the most enchanting place in New Mexico, much like a heavenly oasis found in the middle of the desert. 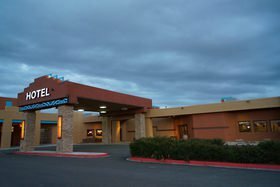 There are numerous things that you'll be able to see in this luxurious resort, which is why it is deemed as one of the best casinos in New Mexico and at the same time, one of the best hotels as well. It is not surprising that when you see the place through pictures, you'd be jumpy and on the edge of your seat already as you feel the excitement of going to such an enticing place. Its contemporary environment is truly the opposite of other historical sites, and it is truly something that would make you experience cutting-edge beauty at its finest. Still, before you even think about booking a room and finalizing your decision, it is always better to equip yourself with knowledge about the Cities of God Casino Hotel. The casino floor of the Cities of Gold is without a doubt, one of the liveliest floors you'll see in your life. There would always be singing and even shouts exuding ultimate joy that not many land-based establishments would surely have. There are slots machines, old-school coin slots and even Bingo games that would surely keep you betting more on their waging floor. The slot machines come in huge amount while there are also those machines with high stakes betting available. On the other hand, the coin machines would give you the feel of classic machines that you'll surely cherish as a once-in-a-lifetime experience. The biggest treat of all on their floor is certainly their enormous Bingo Games sessions and payouts on a daily basis, which totals up to $2 Million on an annual basis. For the lucky winners, each day can end up being more rewarding than you think. Staying at the place is certainly recommended if you want to make the most out of the place's waging establishment and their long list of amenities for you to enjoy. In this establishment, you'll be able to revel on 124 Guest rooms of your choice, with a large full-service hotel to boot. You could either stay on an accommodation packed with a King-size bed or one with two double beds. There are also an innumerable amount of other things you could enjoy in the room such as the free internet and satellite TV, along with refrigerator to keep your beverage cool. Make sure that you give the hotel a heads-up though, to ensure that they'll be able to provide you with the refrigerator. 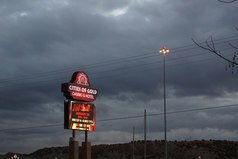 If you are looking for places you could travel to while in the Santa Fe New Mexico, you could always make use of the Free Shuttle service of the Cities of Gold Casino Hotel and see the historical and awe-inspiring display on the Buffalo Thunder Hotel or you could also use the service to go downtown. When you go to the site of Cities of Gold, you'll see exactly what they have an enormous list of promotions for you to take advantage of. There are some big ones and some regular ones, while others even reward cars to the ultimate winner. With this exuberant and superb list of bonuses, it is easy to see why it is considered one of the best casinos in New Mexico. There's simply nothing to be disappointed about when you try to eat at the place itself, since there are the Cities of Gold Buffet open all throughout the day, which will be able to provide you with all your dining needs. The buffet features a Breakfast buffet and buffet for both lunch and dinner as well. This way, you can stuff yourself up with the delectable foods of the place and get back right into the action as you scour New Mexico and some of the iconic places that can be found within.